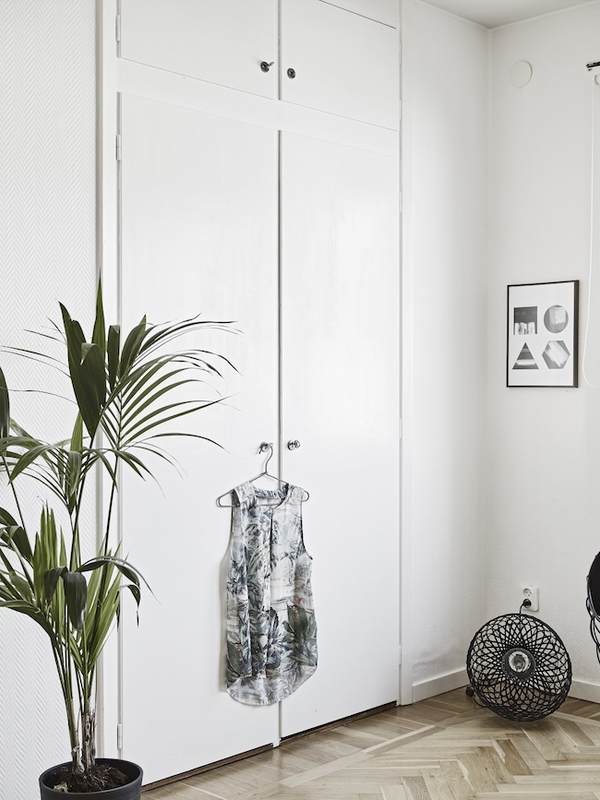 This small monochrome apartment in Gothenburg, Sweden, is a true little gem! 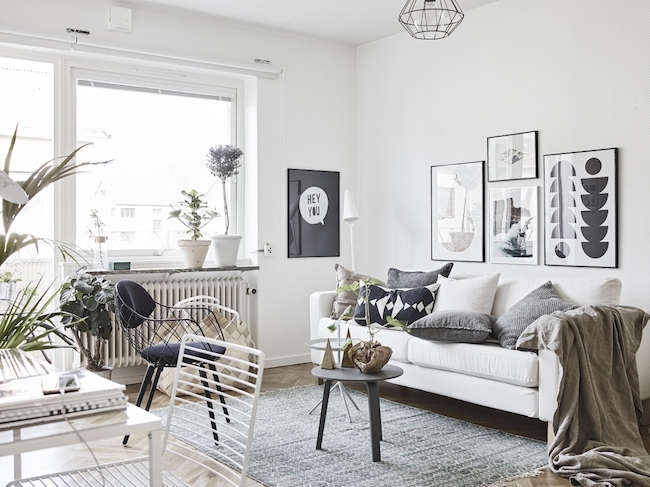 With lots of white and greyish tones, the interior is harmonious and bright. The pop of green here and there add a lovely, fresh touch to the place, while black accents complement the overall look. Stylish, yet cozy and inviting. 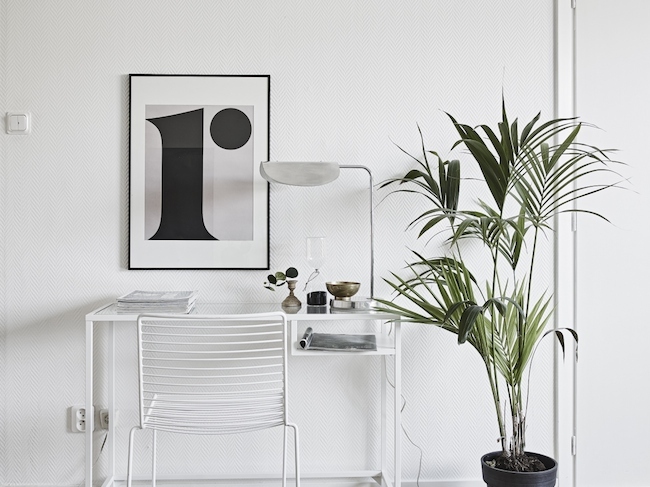 I’m loving the compact workspace – A nicely decorated nook!